Hands down, one of my FAVORITE places to eat! Love CJ. I hope they can retain their legendary customer service ethic in their new incarnation. Didn't Huell Howser endorse them in one of his older episodes? I think that's where I heard about Claim Jumper the first time. Sorry to see them go into bankruptcy. I ate there only once (early 90's), but it was quite good. Their frozen pies and other items are always of good quality. Do you know what the street address in Los Alamitos was? I'm trying to place where it was located. "...Meanwhile my son, Nick Nickoloff, who is a fourth generation restaurateur has opened two restaurants in Orange County serving lunch and dinner, "Nick's Laguna" and "Nick's San Clemente", both restaurants are doing great and he is planning on expanding in the near future, I am very proud. "My daughter and son in Law have opened a small sandwich shop in San Clemente on Pico Blvd next to the high school named 'Humphry's', they are doing great, the sandwiches are excellent. "Thanks again for mentioning Claim Jumper and our family, we love what we do and hopefully will continue the tradition in future generations." I hope they don't go out of business. My dad works there as a chef or cook or whatever it's called haha. 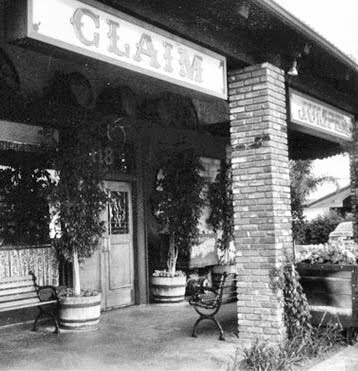 The original Claim Jumper is now a Hof's Hut on Los Alamitos Blvd just north of Katella. Looks pretty much the same as it did when CJ's opened there back in '77. So I went to Los AL HS and live out of state now. There was a Bob's big boy in Los AL, correct?